The New KFC Sisig Burrito – Eats Yummy! KFC Sisig Burrito has been a craze later and we thought of writing about it after seeing the new commercial of KFC PH featuring one of the best veteran drama actors in the Philippines, Pen Medina. When it gets rolled, we already have a hint when we saw the 1st installment of the commercial series after seeing a red envelope after the scene. Also, knowing that Pen Medina was one of the applicants on a prior audition reel with three renowned Philippine actors to be the First Philippines Kentucky Fried Chicken Colonel. Enough introductions, and coming down to our main man and product for this post: KFC’s Sisig Burrito and Pen Medina. This product has been launched a few months ago and the video for it has been going viral on Facebook nowadays. With its own series, the commercial really is a fun thing to watch. One of the best food stories you will see. Though Pen Medina is a dramatic actor and is a serious one, his videos tend to incline on both drama, comedy, and action with a twist. In the first video, we can see that Pen Medina is asking for a new role as he is tired of drama roles and now seeking for an action role. This video shows how versatile of an actor Pen is. After seeing that part of the series, KFC now launches a new commercial giving Pen what he asked for. Though, not relatively the one you will think of when you see an Action Movie. The commercial really is awesome, hilarious and surely catches anyone’s attention. Going to what it offers, we have tasted the KFC’s Sisig Rice Bowl, the predecessor of the new product – KFC Sisig Burrito. It is a combination of the famous KFC’s Crispy Hot Shots, crisp fried chicken skin, real chicken bits, special sisig sauce and rice. The whole meal is topped with leeks, mayo, and egg. With its fancy taste and a little spiciness, it is definitely one of the best options for rice meal lovers. 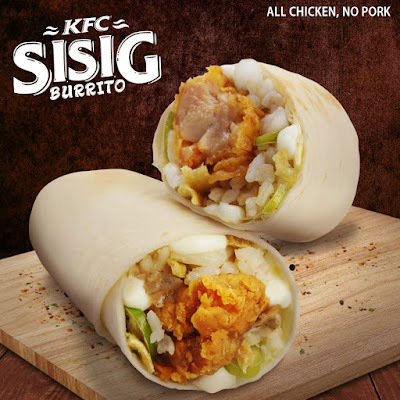 With the huge success of the product, KFC is now pushing the must-try Sisig Burrito. 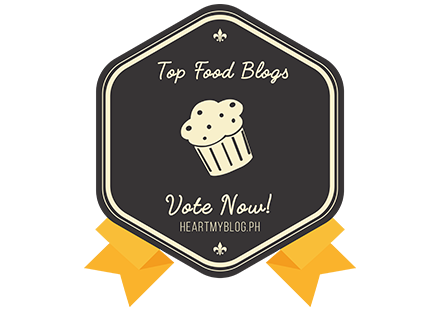 This one is actually your favorite Sisig Bowl on a roll. Mainly Crispy Hot Shots with sisig sauce, crispy chicken skin, chicken bits, sisig rice, and mayo but wrapped in a Tortilla Bread. With the way it looks, this is something everyone should try. 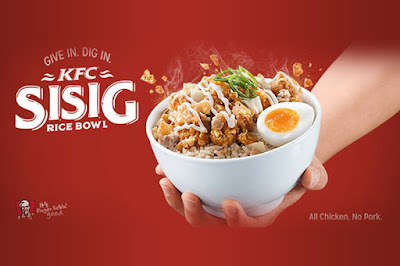 Priced at Php99 ala carte, Php142 with fries and drinks, It can be ordered as ala carte and also available as a combo with fixin and drink via KFC delivery at 887-8888 (Metro Manila), visit https://www.kfc.com.ph/ or walking through a KFC branch near you. Photos and videos credit to KFC Philippines Facebook Page and KFC PH Youtube Channel. If you are craving and want to check other options, you can check our snacks page.